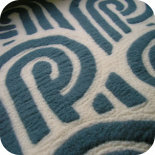 I got the pattern from DS Quilts, but I prefer Helen Zaltman’s adaption, which moves the head down one square lower. Note the top of the body and the mouth are on the same row, and the tail is in line with the eye. I think this looks more “Scottie”. This pattern is easy to adapt. 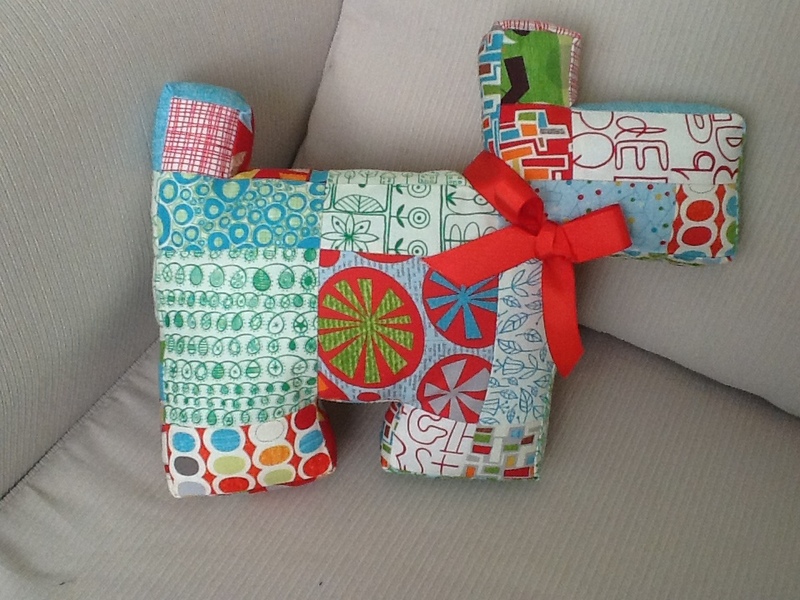 I made my Patchwork Giraffe first, simply by making a longer neck (I also used half a square to make a smaller ear). 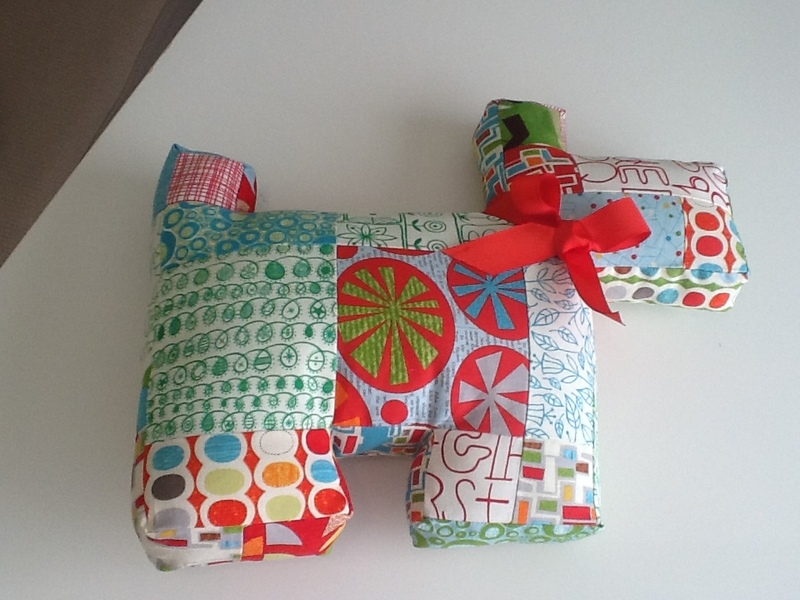 When I came to making the Scottie dog I couldn’t face cutting up all those little squares again, so I worked with whole and half squares from a charm pack – which actually made it quite challenging, but I like the overall effect. I used a mix of squares from charm packs “Mod Century” and “Summersville”. 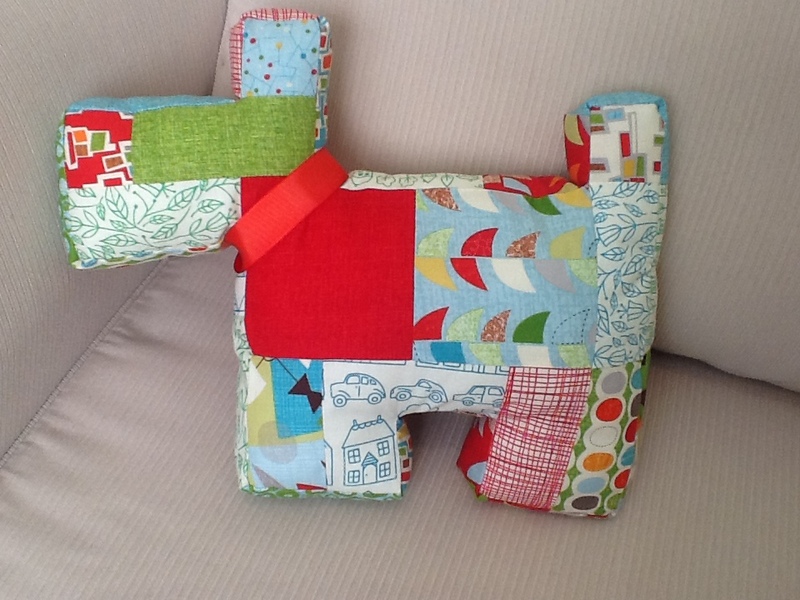 I love your perfect Scotty Dog – can I purchase this pattern? Hi Barbora, I have updated the post with links to the pattern. This entry was posted on 18/01/2013 by flicstar in Toys and tagged patchwork.